Anticipation can be dangerous. Don't get ahead of yourself and cause it to change your game plan. If you're a low handicapper and the putts aren't falling, stay patient. Birdies on the back nine count the same as the ones on the front nine. If you're under par, don't try to protect your score and go into "prevent" mode. Keep doing what got you under par. If you're a high handicapper, playing over your head, don't get fearful of it all falling apart, (it makes you get analytical and try to figure out what you're doing right all of a sudden!) just keep using the same swing keys and accept whatever comes next. Also watch out for delusions of grandeur; you may get inspired to try shots you don't really have in your bag. If you're playing poorly, go back to your copy of ZEN GOLF and read the chapter "How to Enjoy a Bad Round of Golf." Read more of Dr. Joe's tips, and please "Like" us on Facebook! While Tiger Woods’ three wins on the PGA Tour this year have signaled a welcome return to form for the once-dominant No. 1 player in the world, the big question remains: when (or if) he will start winning major tournaments again? The only club in his bag giving him trouble right now is his driver. He won the Open Championship at Hoylake because, after hitting a poor drive the first day, he put the club in his bag and didn’t use it again the rest of the tournament. If there are the usual hard, fast fairways, he will make his way around Royal Lytham & St. Annes Golf Club without needing his driver and win. Royal Lytham & St. Annes is on the west coast of England, and a British friend of mine says that you can bet on wet weather and wind. Wind is something Tiger struggles with, so if the wind is up, he will get blown off course; maybe literally! Also, after winning at Congressional CC, he missed the cut the next week at The Greenbrier, complaining that he had trouble adjusting to the pace of the slower greens. If the Open Championship greens are not slick and fast the way he likes them, the putts won’t fall and he won’t win. Tune in to find out which prediction comes true! 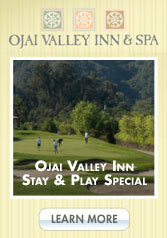 And look for Dr. Joe's commentary on the ZEN GOLF Facebook page. 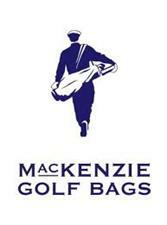 Since 1985 the MacKenzie Golf Bag Company has been handcrafting some of the finest golf bags available. Founded on principles from Michael Murphy’s classic “Golf in the Kingdom,” the walker series of bags are created to order by some of the finest artists in the golf business. The company prides itself on being “owned and managed by golfers who walk when they play, take caddies when they are available and keep sanctioned handicaps.” When I’m not teaching, or playing in a “cart mandatory” event, you’ll see me with my beautiful MacKenzie walker. In addition to creating these fine products, the company also is a strong supporter of the Evans Scholars Foundation and The Shivas Irons Society. Click here to see their photo galleries fabulous golf bags and other leatherworks. Read More Here. Dr. Joe will be the guest speaker at wonderful Glencoe Golf Club, Glencoe, Illinois on July 30th at The Shivas Irons Society's "Playing the Game With All of Your Heart" event. 2012 marks the 20th Anniversary of The Shivas Irons Society. Did you know Dr. Joe’s ZEN GOLF principles go beyond golf, having gotten great results in coaching many different sports and other non-sport types of performance? ZEN BASEBALL: In our last e-news, we mentioned that Doc had worked with a relief pitcher for a top NCAA Division one team. The coach at Cornell University used ZEN GOLF to win the Ivy League title for the first time in 37 years, and Arizona won the NCAA Women’s National Championship a few years ago thanks to ZEN GOLF. They even wore a teacup and the letters PAR on the back of their game jerseys! ZEN TENNIS: Dr. Joe is partnering with Bill Scanlon on a book called “ZEN TENNIS.” Thirty years ago Bill played what is known as a “Golden Set,” winning six games without losing a point. It was the only one ever accomplished in professional tennis, until it was finally matched at Wimbledon this year. There is also Zen Football (kicking), Zen Hockey (goalie), Zen Archery (traditional and modern), Zen Target Shooting, Zen Billiards, Zen Snooker, Zen Bowling, Zen Volleyball, Zen Disc Golf and more. The ZEN GOLF methods also work in just about all other performance settings, with Dr. Joe coaching ZEN ACTING for TV and movies, and ZEN BUSINESS for executives and sales people from large and small companies around the world. Call 805.640.1046 or email us to schedule in-person or phone or Skype lessons for optimum performance in any sporting or business endeavor in your life. And please let us know if you’ve improved your performance using ZEN GOLF in another kind of ZEN _________ (Fill in the Blank). Many golfers are unduly hard on themselves when they miss putts that would be called “makeable” by the vast majority of TV commentators. Would you be less inclined toward negative self talk and losing your confidence if you knew that the best golfers in the world miss four out of five putts from 15 feet? The PGA Tour keeps many statistics, and they come up with more every year. Last year’s most interesting new stat is known as “Strokes Gained-Putting,” and it is intended to determine the best putters on Tour. For measuring this stat, the PGA Tour has a baseline figure, which is the average number of putts that a pro will take to hole out on putts from one foot to 100 feet. Some of the more helpful numbers show that the average PGA Tour Professional will hole one out of three putts from 10 feet, one out of five putts from 15 feet, one out of seven from 20 feet and one out of 10 from 25 feet. These are the best players in the world, not holing most of their putts! So, the next time you don’t hole one of these putts, but got the putt started just the way you intended, just remember: how you get your ball rolling, not the number of balls you’re holing, should be your baseline for judging your success on the greens. To putt like the pros, listen to ZEN PUTTING and watch PUTTING WITH CONFIDENCE. Don't keep Dr. Joe a secret! 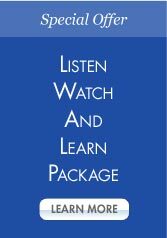 Feel free to forward the eNews to your friends. Yes, I would like to subscribe to Dr. Joe's eNews.